The life of freshman at Seton Hall University will be made much more easier when they will have the access to all the important school information right in their hand. Apart from this, Microsoft is trying to create the awareness of their new operating system and is trying to teach people how their new UI for Windows 8 will make their lives better. SHUMobile app is already available for iOS, Android and Blackberry. The freshman will have the easiness of communicating with others and advisers through the phone. According to PC World, this is not the first time Seton Hall has giving free phones and gadgets to their students. A number of students were given free Nokia smartphones, Kindle devices, Android and iPad tablets as well. 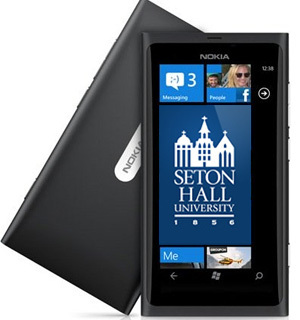 I would just like to say Good luck to the new class of 2016 at Seton Hall University, because a new Nokia Lumia 900 is waiting for your in the dorm.